We believe in great marriages and we are committed to helping all the members of our church be equipped to have the kind of marriage God desires for each one of them. This includes pre-marital education and counseling, marriage mentoring, and marriage counseling. In addition we have a yearly seminar, Marriage Works, which brings in great speakers to share the lessons they have learned to have a wonderful marriage. We sponsor periodic Date Nights which provide low cost babysitting so that couples can enrich their relationship by taking a special night for themselves. We have many couples involved who have been married for decades as well as younger couples who have gotten off to a great start. If you are about to get started and want to prepare for your marriage or if you would like to refresh and strengthen your marriage, check out what we have to offer! 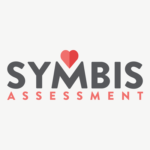 You will complete the SYMBIS (Saving Your Marriage before It Starts) questionnaire which will help you to explore and understand your relationship and its many dynamics. You will then take a number of sessions to go over the results with a trained facilitator couple who will help you to process this information together and apply it to your upcoming marriage. Cost: $35.00 for the assessment. This is an 8 hour marriage enrichment and preparation course designed not only to prepare you for marriage but also to help you stay happily married for life! The goals of this course are to help you construct a solid foundation upon which to build a lasting marriage and also to acquire and sharpen the tools that are necessary to meet the demands of married life. This is a “Twogether in Texas” approved course which means that upon completion you will receive a certificate that waives $60.00 off your marriage license fee. Cost: $20.00 for the workbooks.